Enviroblinds external roller shutters, offer excellent energy saving performance and were nominated by CIBSE Building Performance Awards in 2014 as energy saving product of the year. Made from insulated, foam filled aluminium slats, these shutters can save on heating energy by 10-20% and cooling by 80-90%. 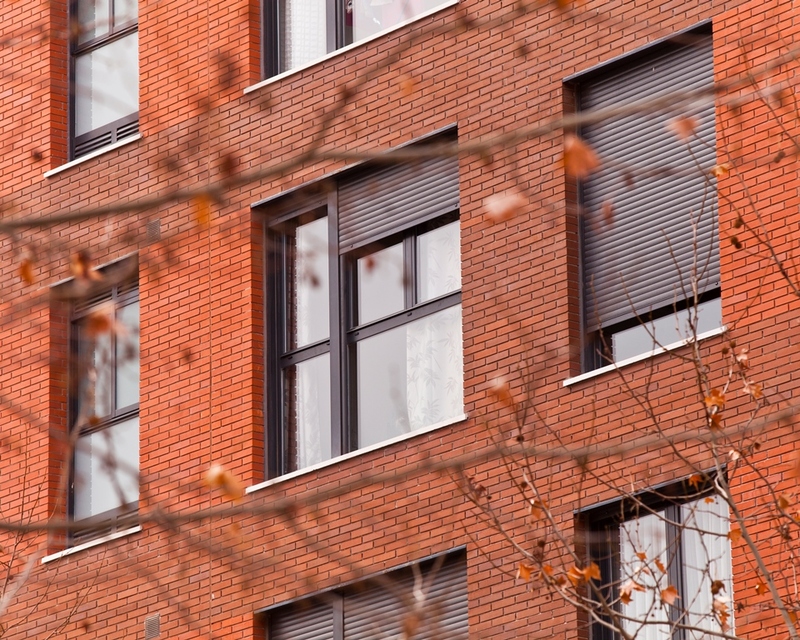 Made from aluminium which is infinitely recyclable, our rollers shutters and solar shading products are made of the best material for its function and the environment. Enviroblinds external roller shutters are extremely durable. 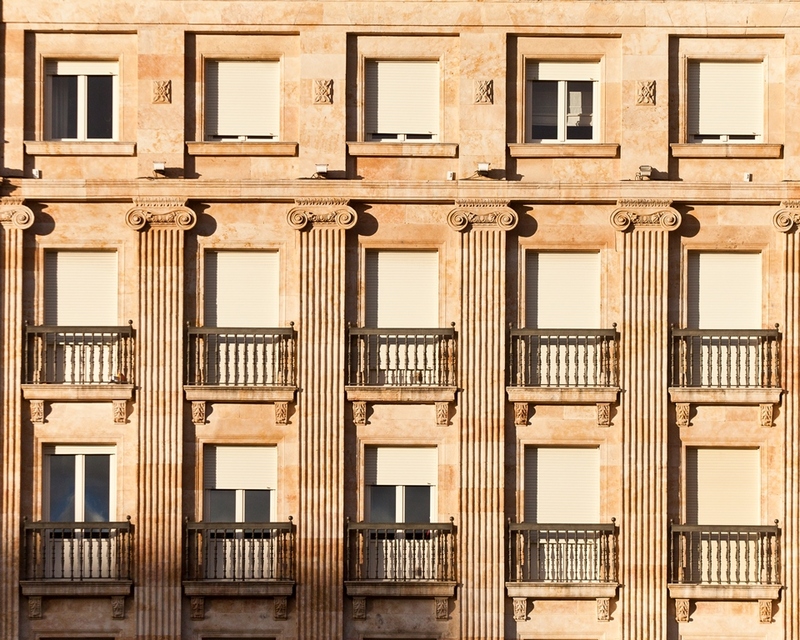 Installations in modern and classic architecture across Europe prove that they stand the test of time and are suited to warm and cooler climates. 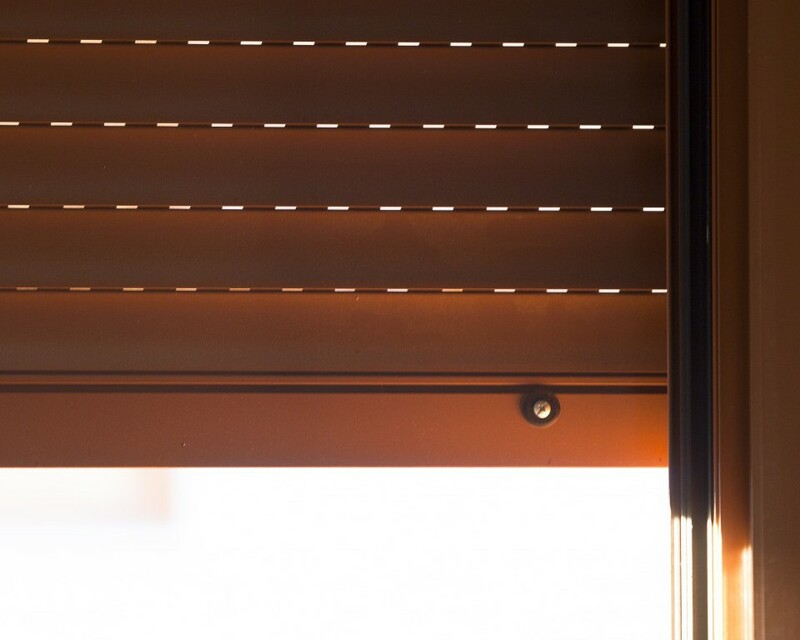 When lowered, the shutters can be adjusted so that the perforations between the slats allow light and ventilation into the room. In a fully closed position, the shutters reduce noise levels inside the room, offer total black out and protect the window. Enviroblinds security shutters are made from extruded aluminium and are available in a full range of RAL colours with options for solid or cut-out slat curtains, which are ideal for shop fronts.